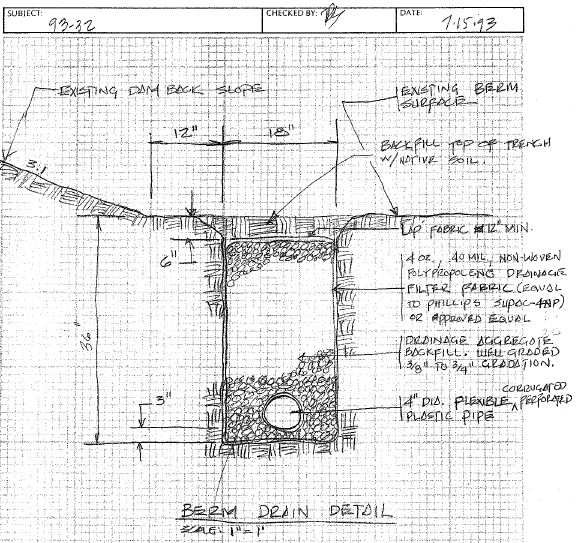 Drainage Area: 9.87 sq. mi. On March 12, 2004, the Big Bay Lake Dam in Mississippi failed destroying 48 homes, washing out a bridge, and damaging 53 homes, 2 churches, three businesses and a fire station. Thankfully, no lives were lost. The dam was built in 1990-1991, had a structural height of about 60 to 70 feet, and a normal pool storage capacity of about 11,250 acre feet. Both embankment and foundation soils at the site are comprised of primarily highly erodible silty sand and sandy silt materials. The estimated peak outflow from the breach was approximately 150,000 cubic feet per second. While there were some important warning signs of a developing problem over many years of operation, the majority of breach formation occurred in a period of only a few hours. 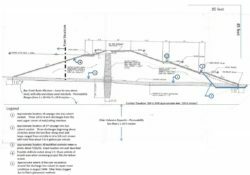 At about 11:00 am on the day of the failure, the engineer responsible for inspection and monitoring of the dam noted that there was a single point of seepage exiting the foundation at the ground surface immediately downstream of the dam toe. 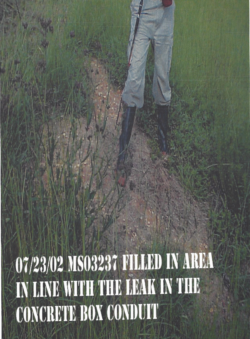 The discharge exiting the ground surface was described as about a ½-inch diameter flow bubbling about ½-inch above the ground surface (at an estimated rate of flow of ½ to 1 gallons per minute). 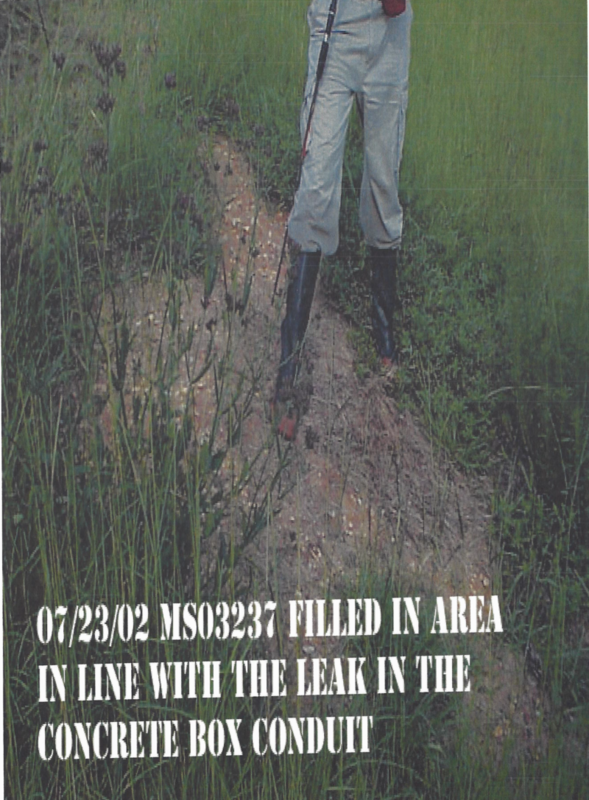 About an hour later, the maintenance man who had been assigned to monitor the situation described seepage from an area about 20 to 30 feet southwest of the drain pipe discharge location, muddy in color and spraying 30 to 40 feet into the air. He immediately contacted the engineer who was just minutes from the site. 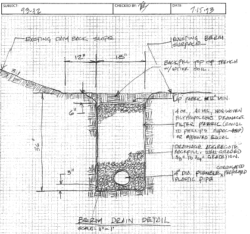 Upon arriving back at the site, the engineer described the seep as spouting approximately 2 to 3 feet in height and with a diameter of about 18 inches. 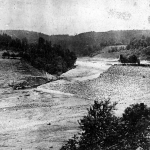 He further noted, “Quite suddenly, the area around the boil appeared to liquefy and/or settle downward and rapid erosion set in to the north (backslope of the dam) and to the south (downstream direction).” The erosion into the downstream slope of the dam progressed quickly. The engineer noted that the crest of the dam had breached and uncontrolled release of the lake pool began at approximately 12:25 pm. 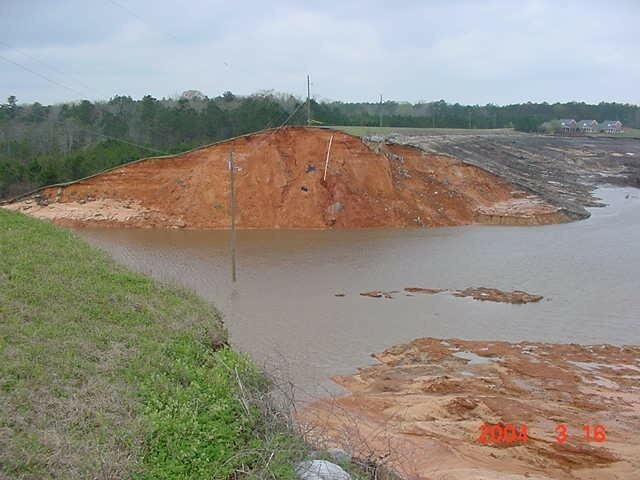 Photo of sink hole on upstream slope of dam below high water level at location adjacent to dam breach (Photo source: Mississippi Dam Safety Division, Ferguson et. al., 2014). 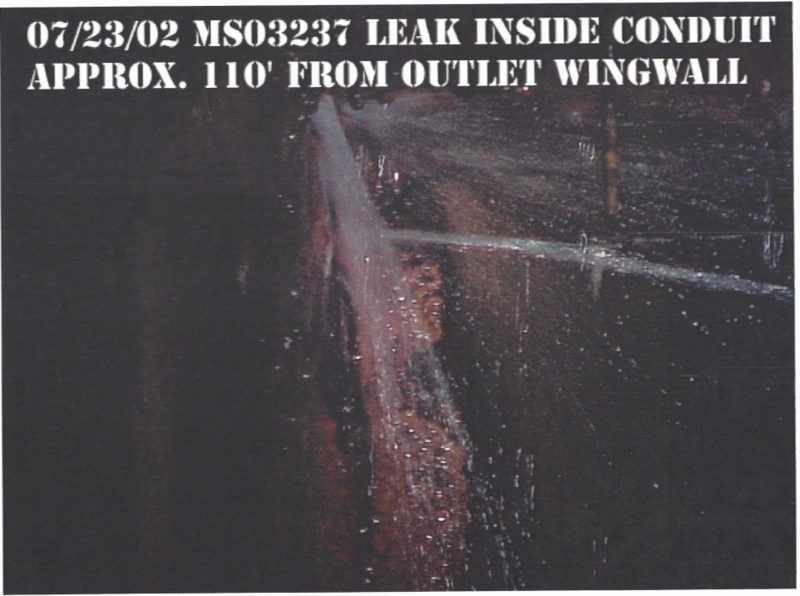 The breach that formed in the dam was in the general vicinity of the outlet conduit and resulted in total failure of the outlet intake structure, conduit through the embankment at the foundation contact, and the outlet discharge structure. The root cause of the failure was never conclusively established during the subsequent investigation and litigation phases of the project. 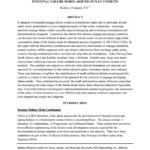 While several theories were postulated by different parties, the author’s examination of the information from the investigations and trial activities along with their general experience with seepage failure modes suggests that the failure mode development process was complex. Contributing factors may have included defects in the outlet conduit, lack of effective seepage control in the central core of the dam, poorly designed and constructed seepage filter and collection systems in the downstream portion of the dam and foundation, and lack of proper instrumentation and monitoring of the dam. Failure to understand and respond to a number of important distress indicators were “human factors” that also significantly contributed to the dam failure. These distress indicators included significant flows and changes to flow through the cracks in the outlet conduit, the development of a sinkhole on the downstream face of the dam, silting in of the outlet works discharge dissipating pool, and changes in the observed seepage from the toe drain and a conduit seepage diaphragm system installed in 1999 (about 8 years after the original construction). Recent modeling of 3D seepage conditions around piping features (Anderson and Ferguson, 2015) strongly support the possibility that the relatively rapid transmission of high water pressures to the downstream toe area could have resulted in the localized “liquefaction” described by the Engineer as water literally exploded out of the continuous open piping feature between the reservoir and the downstream toe. The combination of a fully open defect, high water pressures along the defect and potential for localized liquefaction instability, large seepage flows, and highly erodible nature of the foundation and embankment soils combined to result in the dramatic and very rapid failure development sequence. 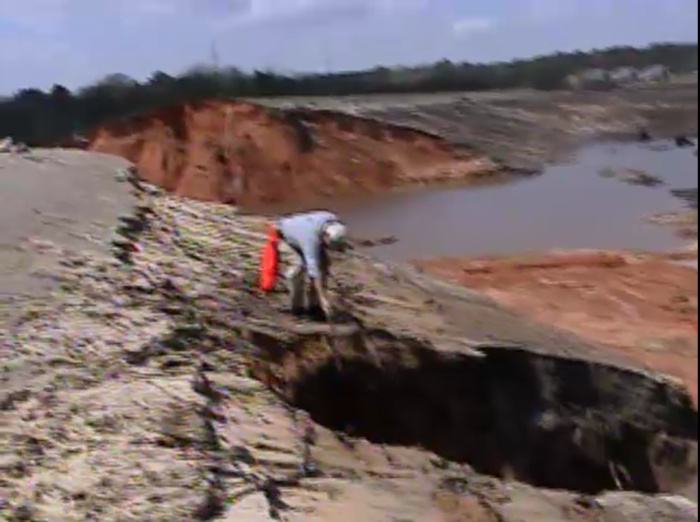 (1) ASDSO Dam Failure Investigation Committee. (2011). 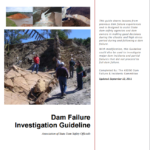 Draft Dam Failure Investigation Guideline. 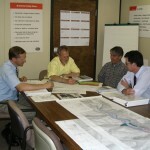 Association of State Dam Safety Officials. 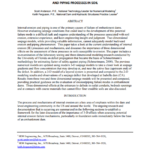 (3) Ferguson, K.A., Anderson, S., & Sossenkina, E. (2004). 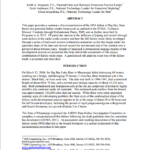 Reexamination of the 2004 Failure of Big Bay Dam, Mississippi. ASDSO Annual Conference. 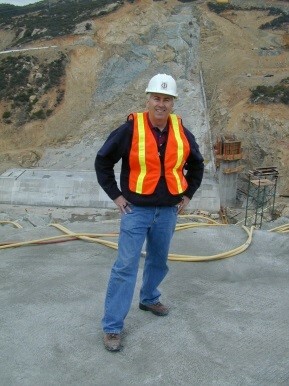 San Diego, CA: Association of State Dam Safety Officials. (4) Ferguson, K.A. (2012). 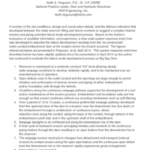 Investigation and Evaluation of Seepage Conditions and Potential Failure Modes Around Outlet Conduits. USSD Annual Conference. New Orleans, LA: United States Society of Dams. (5) Anderson, S., Ferguson, K.A. (2015). Examination of Three-Dimensional Effects of Internal Erosion (IE) and Piping Processes in Soil. USSD Annual Conference. Louisville, KY: United States Society of Dams. (7) Yochum, S.E., Goertz, L.A., & Jones, P.H. (2008). 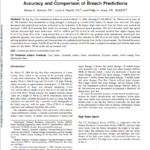 Case Study of the Big Bay Dam Failure: Accuracy and Comparison of Breach Predictions. 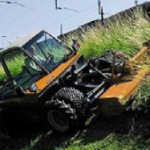 Journal of Hydraulic Engineering. American Society of Civil Engineers. 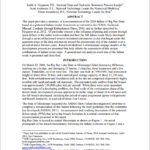 This case study summary was peer-reviewed by Dusty Myers, P.E., Chief, Mississippi Dam Safety. Aerial View of Breach Immediately Following Failure of the Dam (Photo source: the Dam Safety Division of the Mississippi Department of Environmental Quality). Photo of Dam Breach from Upstream Slope (Photo source: the Dam Safety Division of the Mississippi Department of Environmental Quality). 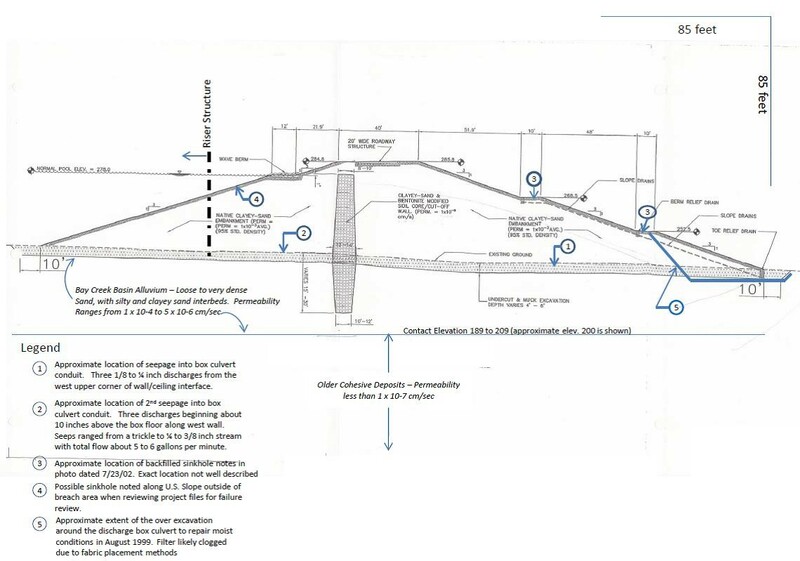 Representative Cross Section at the Outlet Conduit Alignment and Seepage Distress Indicators (Photo source: Ferguson, et al, 2014). 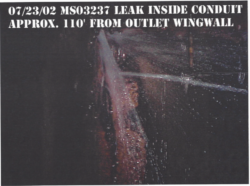 Photo showing example of concentrated leak inside conduit (Photo source: Mississippi Dam Safety Division, Ferguson, et. al., 2014). Photo showing embankment toe trench drain installation. Note the very poor installation that would contribute to fabric clogging, and also tear (separation) in fabric (near front right of photo) that could result in piping into the drain gravel (Photo source: Mississippi Dam Safety Division, Ferguson et. al., 2014). 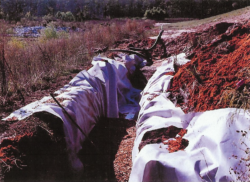 Embankment Toe Trench Drain installation detail (Photo source: Mississippi Dam Safety Division, Ferguson et. al., 2014). Poor quality photo of sinkhole on downstream slope of dam. Photo taken 10-19-2001. 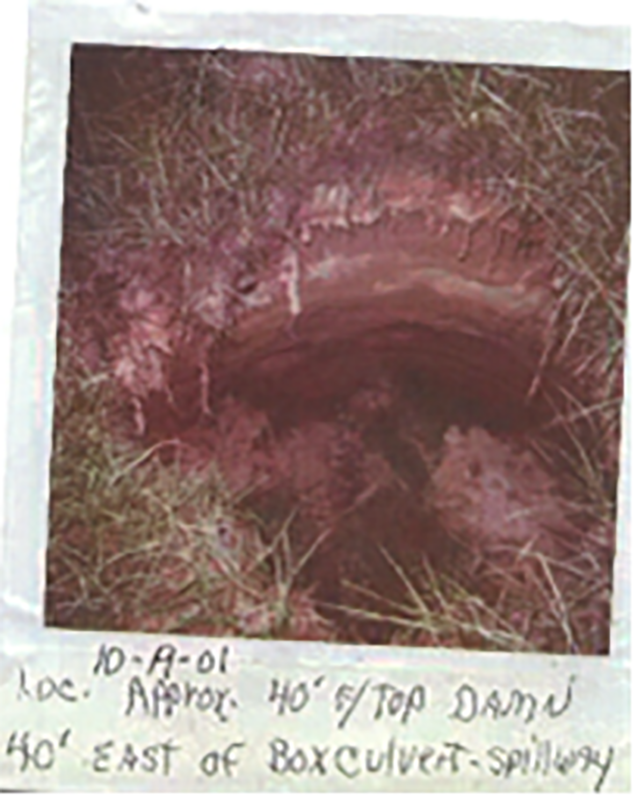 Sinkhole noted as 40 feet east (left) of the principal spillway outlet conduit (box culvert) (Photo source: Mississippi Dam Safety Division, Ferguson et. al., 2014). Video showing toe drain and foundation leakage at the dam. 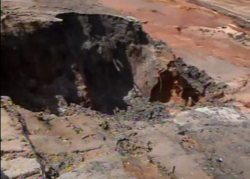 Highly erodible nature of the foundation soils are highlighted throughout the video. Emergency responders were critical to the protection of lives during the failure.